The highlight of my last week – besides rediscovering that the sun can be hot – was a writing workshop in the Deux-Sèvres with lovely Michèle Roberts. She’s half French and half English, which makes her particularly interesting to us Francophiles. 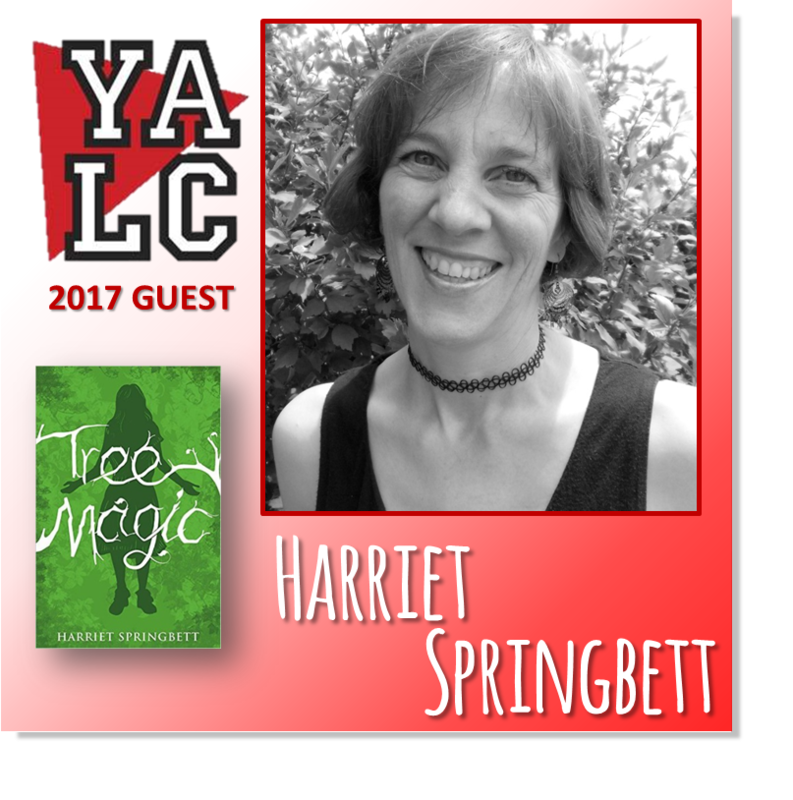 As well as her understanding of cultural differences, particularly in literature, she is warm, generous and encouraging. We love her! Many thanks to Gordon and Jocelyn Simms for organising the day. English literary events in my part of France are rare, so it was intriguing to meet the participating writers. What a friendly bunch they were. I could have chatted to them all day. But the call of the pen meant we had to sit down and actually write. Some rebels carried on conversations by passing notes, though I’m not sure this counted as a workshop activity. Back with French friends that evening, I met my opponent-in-war (see my blog post The Novel War). And made the mistake of telling him about my inspiring day. And so began a delightful evening – in a rather less supportive atmosphere than Michèle’s workshop. We drew our swords: should writing be treated as a business and marketed to readers? Or should it remain an art form and sleep in a notebook? He claimed it is enough to create art; that art is about expressing yourself. He said that if you create to sell, your creations are no longer sincere. Artists create for themselves. They don’t care whether they sell their work or not. I thought about the joy of writing family memoirs; the comfort of a journal; the pleasure of finding exactly the right image to convey an emotion; the satisfaction in perfecting a short story or a poem, knowing that it will never be published. I thought about unpaid bloggers. And finally I thought about the dreaded synopses, covering letters, blurbs and social media. Many glasses of rosé later, we were no closer to a compromise. The question of whether to write for ourselves or to write for a market is one that haunts me. Some experts advise writing with a particular market in mind. Others tell you to write whatever comes naturally. When my moody teenagers were yelling babes*, I took part-time parental leave (thank you France) so that I could change their nappies myself every afternoon. Oh yes: and so I could write during their siestas. I wanted to write myself a proper novel without making all the mistakes I’d made in novel Zero. I had no thought of a market. I knew I could write a novel because I’d already done it. But novel Zero was tightly plotted and planned and hadn’t left enough room for creativity. So I wanted to write a novel organically; to begin with a character and let the story grow. 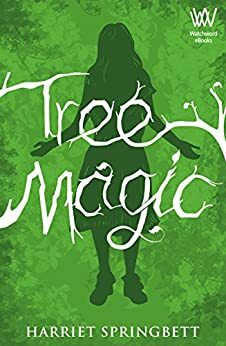 Between drafts of my organic novel ‘Tree Magic’ (to be published in January 2017 by Impress Books), I started to write commissioned feature articles. This meant I had no time for my novel. But it didn’t matter: feature writing was so fulfilling. I met people, my work was read (even if nobody actually looked at my name) and I was being paid. Then, one day, a French friend said, “This magazine writing is all very well. But don’t forget about what you really want to write.” I interpreted this as: ‘don’t let business stand in the way of art’. A few months later I went back to my fiction. The dishwasher broke down and didn’t get mended. Although Michèle Roberts talked about the differences between the French and British approaches to literature, we didn’t have time to distil our thoughts down to Art versus Business. But I do feel that, for many French people, art is superior to business: whereas – dare I say it – the Anglo-Saxon culture celebrates business achievements. I concluded my rosé-tinted evening with the thought that we need Art for personal expression and Business to buy time for that personal expression. Who can blame writers for trying to do both at the same time? *I actually love my children to bits! They’re never moody and they never yelled. Well, not much. 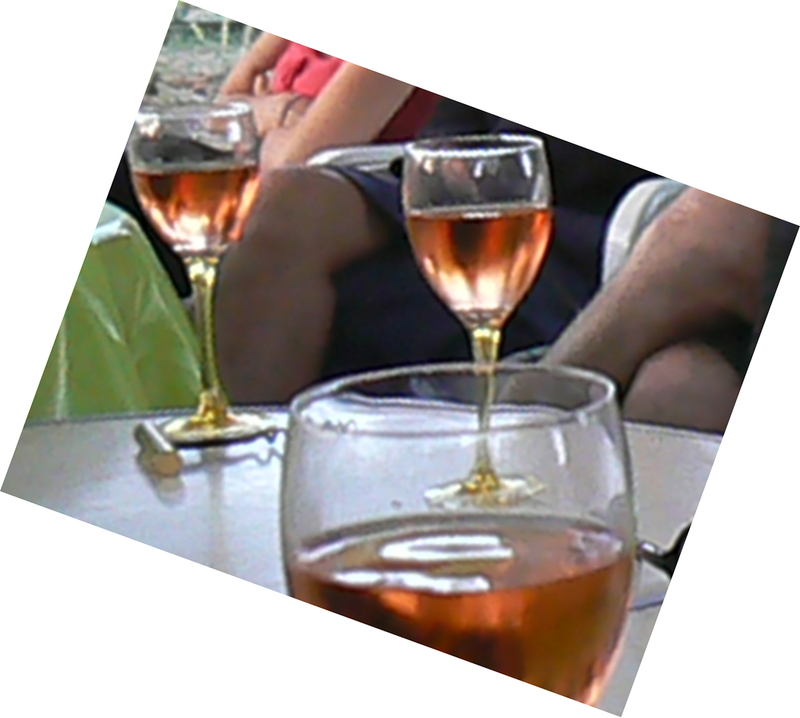 This entry was posted in Life in France, On Writing and tagged Alison Morton, art, business, Michèle Roberts, organic novel, rosé, Talking Trees, workshops on 19 April 2015 by harrietspringbett. I have thought about this one too, a lot! Organic is good. Broken-down dishwashers (mine is a boiler and a loo atm) not a problem. However, making a million quid could be useful and I still have not earnt much at all from my many hours’ writing. Maybe a few quid. Having said that, I have not tried that hard, not having a business head. So yes, being able to unite the two would be brilliant. What is it with you and loos, Hester? Remember the poems we swapped about the portable workmen’s loo your neighbour stuck in your gateway? All those years ago! Very interesting post. When I retire in 2 years and 10 months time (not counting), I hope to be able to participate in a few writing workshops. I am halfway through Thomas Hardy’s novels at the moment, rereading the main ones and discovering others I had never heard of. I took a pause to read Claire Tomalin’s biography of Hardy so that I could understand where all his revolutionary ideas came from. One of the things that struck me was that Hardy considered himself to be a poet, and a prodigious poet he was. Writing novels was his bread & butter and he usually wrote for serial magazines. An episode in “A Pair of Blue Eyes” is even behind the expression “cliffhanger”. After publishing “Jude the Obscure” at the age of 55, he was earning more money than he needed and was able to devote himself henceforth to poetry. He initially wrote for his public, varying his themes and writing according to what people seemed to want but in the end he had had enough of seeing parts of his books removed because they were thought immoral. So I guess that backs up Michèle Roberts’ opinion, at least on the British side. I heartily agree with your conclusion. I initially thought I could make my blog pay but I soon realised that I was not interested in writing what other people wanted. I write to share what I do with other people interested in the same subjects. What an informative comment Rosemary. Thank you very much for sharing with us. I haven’t read Tomalin’s biography (I have Martin Seymour-Smith’s book about Hardy on my shelf), but I’ve heard a lot of good things about it, so maybe now’s the time to dive in. Nowadays I think a lot of writers write articles/ features to earn money so they can write fiction in their free time, which is similar to Hardy’s case. I guess you should write what you want, and if it interests anyone, so much the better. I’m gonna hop onto your blog and take a look. Enjoy the writing workshops in 2 years, 10 months minus one hour! And I like that “like” feature! Does your widget that produces it have a name? I’ve no idea – it’s included in the “2012” template. Sorry I can’t be of more help. I’ve recently finished my first novel, after publishing several short stories, many freelance articles and what I feel is a ‘successful’ blog. The novel is FOR SURE “my baby” when it comes to writing, but the other projects — the ones that have been published — do indeed provide a sense of satisfaction (and I’m proud of them, too.). Not just because they’ve been through the business side of things but because someone else has read, commented, enjoyed… there is something about creating for others that makes us human (or something about being human that yearns for an other). Art for ourselves, while a VERY important part of process seems like a seed that doesn’t sprout. There comes a time, for reasons each writer has, that having a reader feels essential. I was asked this very question at the Wine Blog Awards…who are we writing for? Thanks Jill. I’m often frustrated that my musical and dance friends can share their creations so easily with other people. For writers it’s traditionally so much more difficult – basically, you need to get published – which can be such a difficult, soul-destroying process. Luckily, nowadays there are new ways to share (self-publishing, blogs, open mike nights etc. ), which is great news. That does sound such a typical Gallic/Anglo Saxon conversation! My own creative writing has had to be put on the back burner while I deal with necessary income matters, but I wonder if one writes better if one writes what one wants, not what one thinks people will want. I certainly preferred my work and it was better received when I did – which in turn gives it the opportunity to be profitable. I think that can also be done within the realms of commercialism. All artists have to live to be able to create! Food for thought and an inspiring article! Thanks for this, BacktoBurgandy. I was lucky in my freelancing that my main client gave me very open briefs, so basically I interviewed and wrote people’s stories. I’m off to check out your building article now through #AllAboutFrance. I have a friend who is a puppeteer and she believes she should share her creations for free as they are art and art should not be paid for, imply enjoyed. I write because I love it (like my friend and her puppets) … but we do all have bills to pay. So I am no closer to an answer either. Hi Rosie. Yes, I’ve heard this argument too, which is admirable. The ideal answer would be a state wage for artistes… and the former intermittant du spectacle status came pretty close to this. But in a capitalist, liberal economy, this kind of status becomes idealist, unfortunately.